NEET PG 2019 Syllabus: Eligible candidates who have applied for NEET PG 2019 in online mode must check the exam pattern & syllabus. NEET PG 2019 Syllabus gives the idea to the candidate related to question pattern, marking scheme, subject wise topics, schedule of exam etc. This plays a very important role in the preparation of NEET PG 2019 exam. The NEET PG 2019 Exam is scheduled to be conducted in an online (computer-based test) mode on 6th of January 2019. 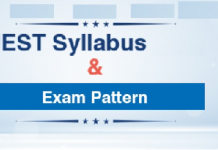 To get the NEET PG 2019 Syllabus & Exam Pattern in detail – Read Below. Here we have provided the detailed information related to NEET PG 2019 Question & Exam Pattern. Please check the below table to know the NEET PG 2019 Question & Exam Pattern. NEET PG 2019 Syllabus: Here we have provided the detailed information related to NEET PG 2019 Question & Exam Pattern. Please check the below table to know the NEET PG 2019 Question & Exam Pattern. Allocation of time for the NEET PG 2018 shall be as follows. The NEET PG 2019 exam shall be conducted on a single day in a single session. In the year 2018, NBE, the official authority, bought some new changes in the exam pattern of NEET PG, which are expected to be continued this year as well. The new changed introduced last year are listed below. Below are the list of topics which were covered last year (2018) in NEET PG. NEET PG exam contains 300 questions from 15 topics covered in the MBBS programme. For more information about the topics covered, candidates can take a look on NEET PG 2019 syllabus. NEET PG 2019 Admit Card will be availble to download in online mode on last week of December 2018. The interested candidates are required to register for NEET PG 2019 in online mode from 31st October to last week of November 2018. 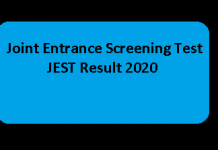 NEET PG result 2019 will be announced in the last week of January 2019. Aspirants securing the NEET PG 2019 cut off for 50% AIQ seats will be called for counselling process. NEET PG counselling 2019 will be done by Medical Counselling Committee (MCC) for admission to Master of Surgery (MD) and Doctor of Medicine (MD) courses offered by medical government, private and deemed universities/colleges of the country. 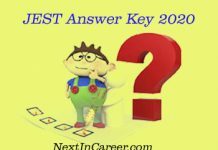 To ask any questions related to this NEET PG 2019 Syllabus, write the same in the comment box given below.